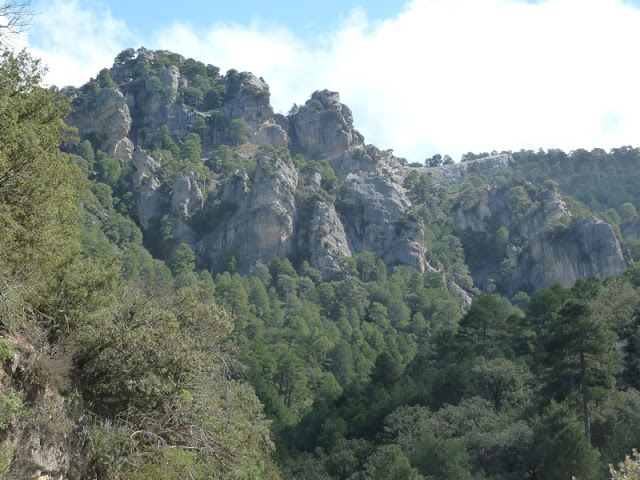 Got a lift from the hotel owner in Cazorla to Vadillo de Castril and set of, at 8.30 on the 38 kilometre walk to Cotos-Rios, another excellent walk through the Sierra de Cazorla Natural Park. The Park is a designated UNESCO reserve and is particularly important for its ancient pine forest and wildlife including mammals and birds. After only a hundred metres or so along the trail it became apparent that this wasn't necessarily a day for listening to the iPod when I disturbed a huge eagle like bird which was in one of the tall pine and then, seconds later, saw a deer run across the track. 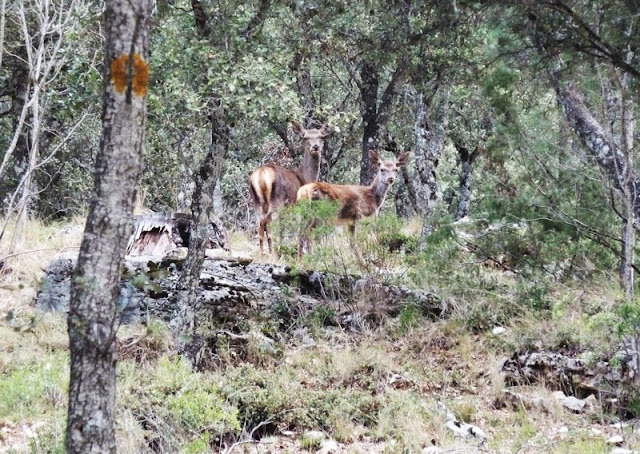 At Linarejos, empty at the moment but with facilities for visitors, there was a group of four animals which I guess could have been deer or Spanish Ibex. The highlight of the walk came as I approached a building marked on the map as the Casa Forestal de Roblehondo. 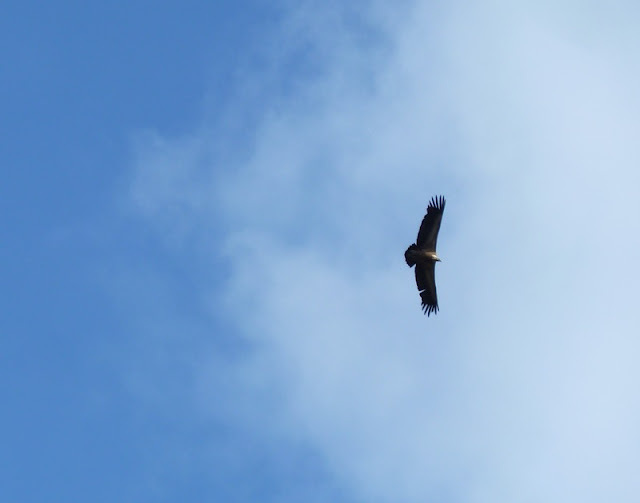 The path was high on the side of a gorge and there must have at least fifteen, Griffon Vultures I guess, flying both above me and below me. Desperately trying to get a picture I was looking up when something caught my eye just of the trail above me and about fifteen metres away. It was a group of wild boar, three or four adults but also some infants. One of the adults stopped for a second and starred at me but then turned and shot off. It was a magic if slightly scary moment. I tried to take a picture but looking at the result this evening couldn't find the wild boar. 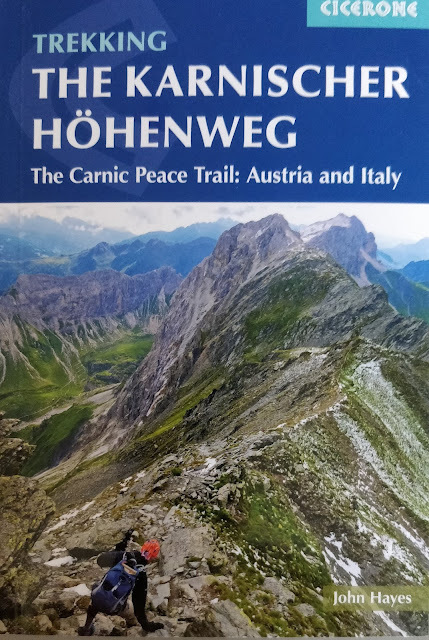 It was a great walk along an easy forest trail which generally contoured along the side of the valley. The weather was cloudy and cold in the morning but got better. Had the Park completely to myself and didn't see anyone until I got within a couple of kilometres of Cotos-Rios. 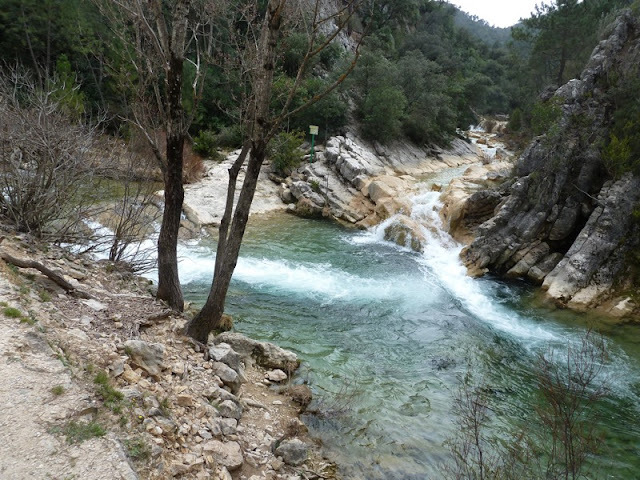 The last part of the walk was along the side of the Rio Borosa. Cotos-Rios was actually built specifically for people who used to live in the Park and last night I thought I had found a hotel there and even booked a room in it. When I got there no-one had heard of it (although that could have been my pronunciation) and there was definitely no hotel in Cotos-Rios itself. Ended getting a flat in the Los Villares Apartamentos, have got the central heating on and have been busy washing walking socks. Well, quite the David Attenborough methinks.Those crocus things look like common or garden daffodils to my untutoured eye (should have paid more attention during my girl guide phase I suppose)but there you go. Will be thinking of you marching along as I march along-hopefully with at least half a million other protesters- today on the TUC march. I think this one will be entirely road walking. I will look out for wildlife in Hyde Park, though, to continue the nature theme. Christine said they are daffodils as well, the only thing is they are very tiny.